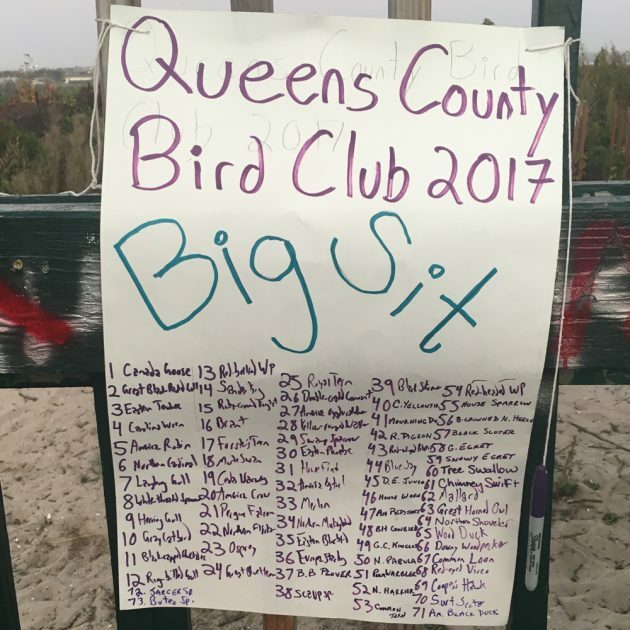 This past Saturday, 07 October, was the day for the Queens County Bird Club Big Sit, our fourth year of counting every species we could see from the hawk watch platform at Fort Tilden, in southwestern Queens. Previous years had given us some idea of what to expect: in 2014, our inaugural year, we netted 72 species; in 2015, we topped that with 76 species; but in 2016 we had horrific weather and were washed out before the day was halfway done and only had 35 species. (It was so bad I never even blogged it.) I had very low expectations going into the Big Sit this year as the winds were forecast to be out of the south, which usually spells doom for birding on the barrier beaches in autumn. 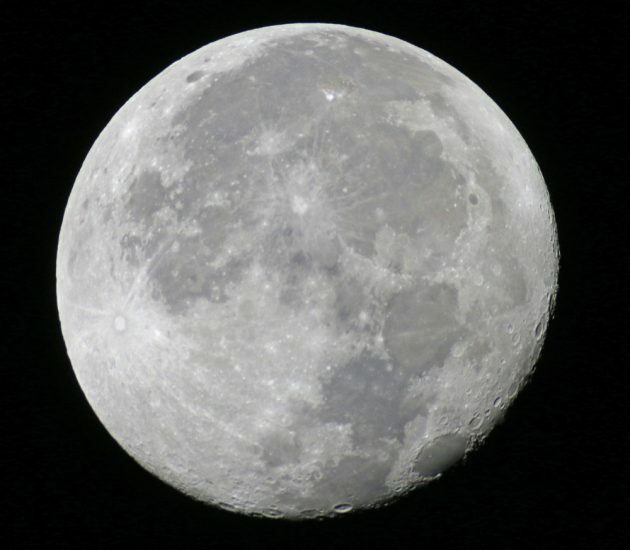 The full moon enabled me to get out to the platform in the dark without a flashlight. Nonetheless, I was out on the platform before six in the morning, well before sunrise, hoping to get nocturnal migrants or maybe an owl. In the light of the moon I did see a bat and I was also surprised to see a firefly, which seemed really odd considering it is already October. 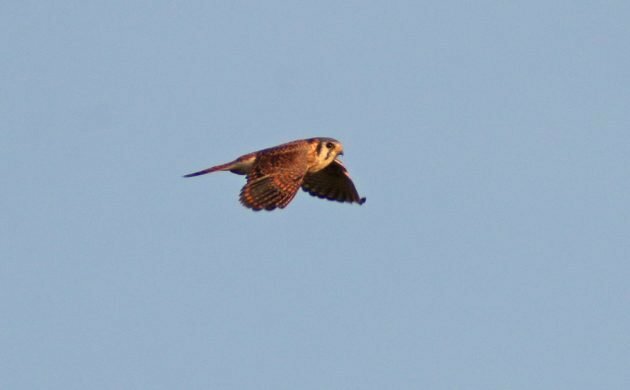 But the first bird of the morning was not a bird most would consider nocturnal. No, I was apparently up early in the morning to listen to a Canada Goose honk. Well, during a Big Sit a bird is a bird is a bird and they all count as one species. So I marked down the Canada Goose and the Great Black-backed Gull that nearly hit me in the head as it flew past too. 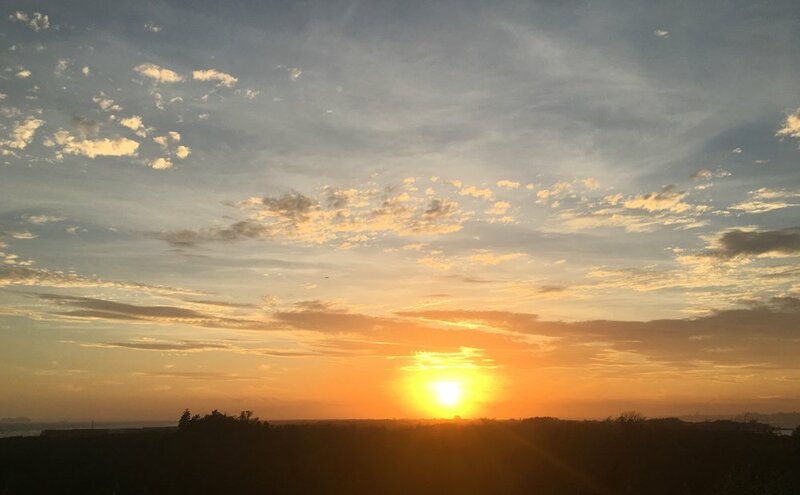 Eventually the sky in the east started to lighten and the morning chorus, such as it was, started. An Eastern Towhee che-winked from the vegetation, a Carolina Wren yelled about its teakettle, American Robins tut-tut-tutted from their roosts, Northern Cardinals started with metallic chips, a White-throated Sparrow sang about Canada, Gray Catbirds mewed from the bushes, and a Black-capped Chickadee whistled in the distance. As the sky continued to lighten (and check out that sunrise picture up top) it became easier to make out some of the distant waterbirds like Laughing Gulls, Herring Gulls, Ring-billed Gulls, Brant, and Forster’s Terns. Soon I was joined by Matthieu Benoit, an ace French birder who has made his home in New York City for the last several years, and together we scanned the sky, the ocean, the bay, and surrounding vegetation for anything we could add to the list. A Swamp Sparrow appeared in the vegetation behind the platform and we were excited because that can be a tough bird on the count but by the end of the day we were sick of the bird as it circled the platform all day long and we were constantly fooled by it, thinking we had something else. 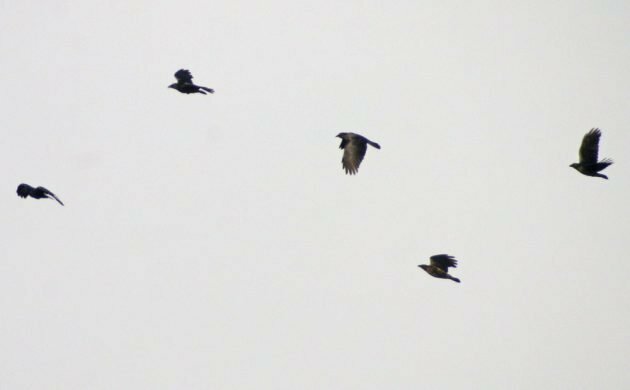 Though we had virtually no proper migration happening there were plenty of morning commuters moving from their roosting points to their foraging grounds, and we checked off Northern Flicker, Eastern Phoebe, American Kestrel, and Black Skimmer. Lisa Scheppke, a Big Sit stalwart, arrived and we continued to add birds, getting into the forties before eight o’clock. 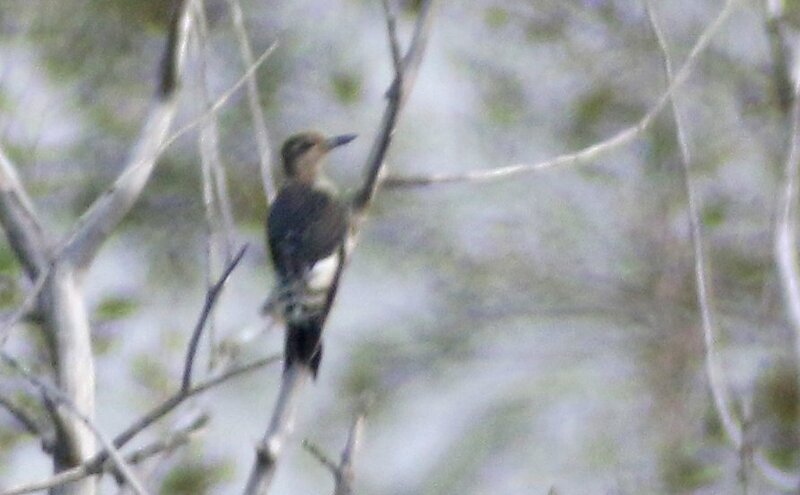 Distant, but recognizable, pictures were par for the course on the day. The young bird, missing its namesake red head, spent almost the entire day in the bare trees northeast of the platform. Lisa had to leave to go help lead a Littoral Society field trip and the rest of us kept birding. A distant flock of scoters flying west over the ocean resolved themselves as Black Scoters. Matthieu picked out, in rapid succession, a Black-crowned Night-Heron in flight over Brooklyn, two Great Egrets, and a Snowy Egret, the latter only identified by comparison to the Great Egrets it was next too. The distance we were working at was amazing. The night-heron had to have been nearly two miles away. Mary, hawkwatcher that she is, kept her eyes to the skies and thus was the first to pick out both Tree Swallow and Chimney Swift. Yeah, that’s a Great Horned Owl. 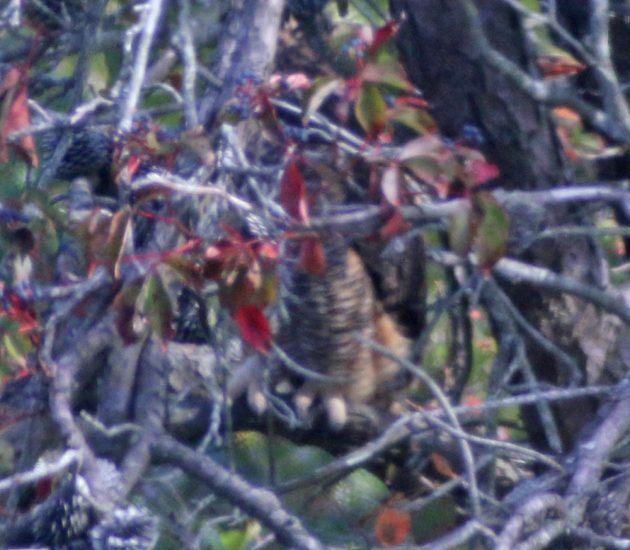 The Great Horned Owl in my scope could be seen only through a narrow gap in foliage, and even then it was mostly obscured by the tree it was roosting in. Had it roosted one branch lower or on a branch on the other side of the tree it would have been completely obscured. 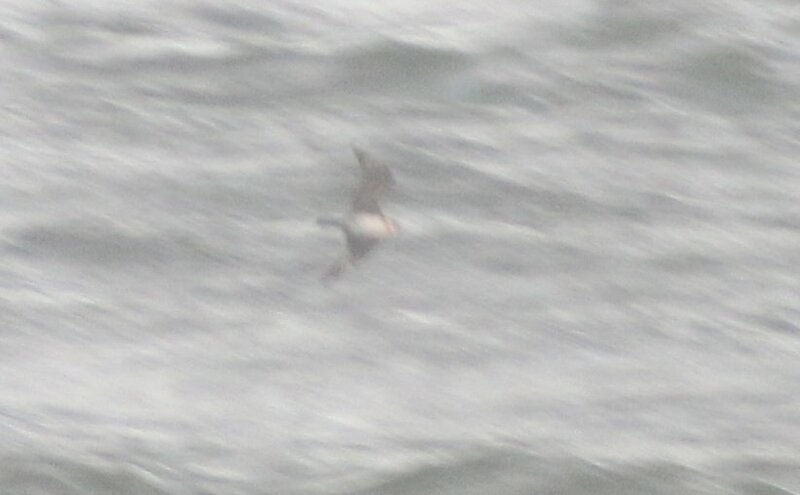 But, somehow, it was in view and we quickly added it as species number 63 on the day. Then Lisa came back with the dozens of people on the Littoral Society field trip and though the platform got crowded we still managed to make out a flock of Northern Shovelers flying over the ocean and then a quartet of Wood Ducks buzzed right past the platform. Daisy and Peter Paul were the next birders to join our Big Sit team and while they were there they finally ended our vireo drought, spotting first one, then two, and, finally, a third Red-eyed Vireo, bring our total for the day to 69 species. 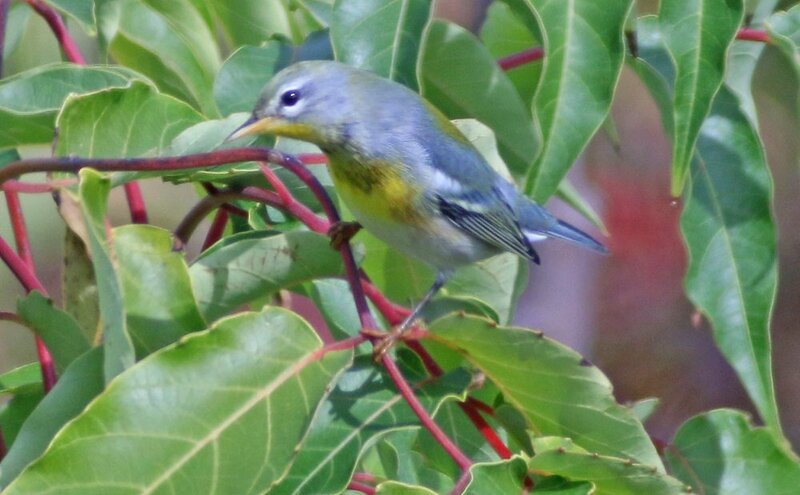 The vireos were in the company of either the same Northern Parula we had seen earlier or another. Though we tried, we couldn’t find anything else in this mini foraging flock. A wonderful highlight of the day, for me at least, came when a group of creative types showed up to film a “post-apocalyptic rap video” nearby. They came up to the platform a couple at a time to check out the view and we shared our optics and showed them dolphins offshore, an Osprey eating a fish, and variety of other cool sights. You haven’t heard a scream until you have heard a rapper, high as a kite and looking through a birder’s binoculars, see a dolphin leap clear out of the water, scream like an excited five-year-old at Christmas. 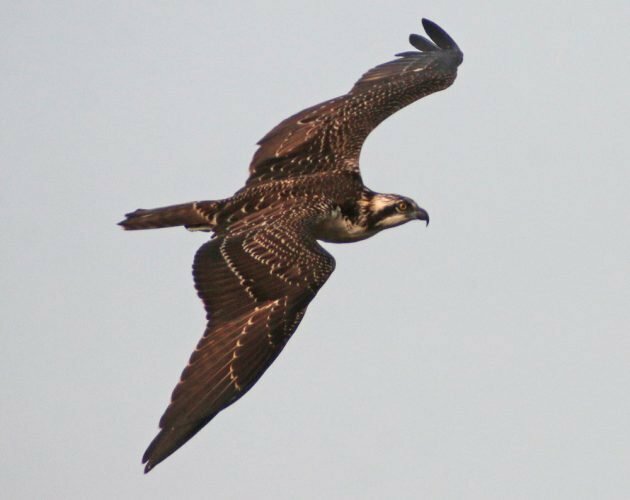 Osprey are awesome. That is all. Chuck left, and Lisa, Matthieu and I settled in for the final push. The sun came out from behind clouds in the west, nicely illuminating the ocean. The winds from the south had really picked up and we were scoping the ocean continuously, hoping to find a Northern Gannet or other seabird. Then Matthieu yelled “JAEGER!!! !” and, well, we got a jaeger. I freely and fully admit that I am bad at jaegers. Fortunately, Matthieu is more familiar with them but he still wasn’t positive about the identification, thinking it could be a Long-tailed Jaeger or a Parasitic Jaeger, though he leaned towards the latter. 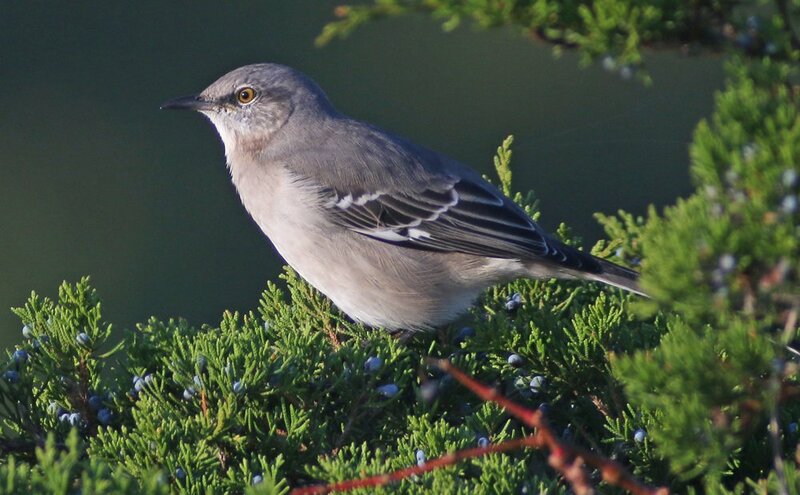 I did manage to get several digiscoped shots, the best of which is above, and during the day yesterday the consensus opinion became Parasitic Jaeger and that is what I am calling it on our eBird checklist. Shortly after the jaeger excitement Matthieu had to leave, but as he left Lisa and I noticed him signalling us about something and we saw a small bird disappear into the bushes. We couldn’t identify it and the wind precluded us from hearing each other’s shouts (and somehow we never exchanged phone numbers with Matthieu), so we figured we had just missed something. But once Lisa and I packed up and headed out we found a Song Sparrow in the same spot. It was the same bird Matthieu had been trying to get us on and since we had seen it from the platform we could count it. Bird number seventy-four for the day and our final addition! Though we fell two short of the record it was an admirable effort on a day that shouldn’t have had as many birds as it did. South winds are rarely productive on the barrier beaches in autumn but we persevered and had some great birds. 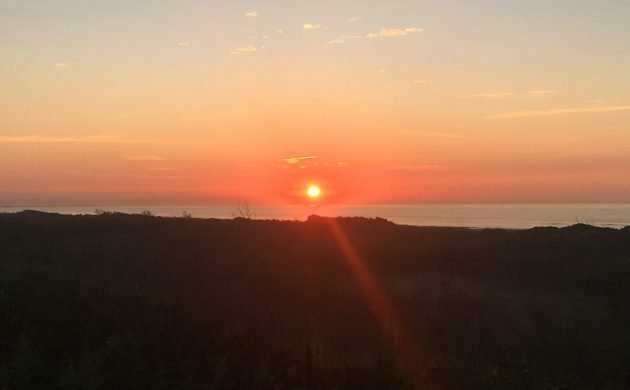 Who’s coming out to Fort Tilden in October of 2018?